The buttery sand was still chilly, not yet warmed by the sure-to-be brilliant sun that had only barely risen above the horizon. Tiny track marks dotted the rippled dunes, evidence that some small animal had been scampering by not too long before. 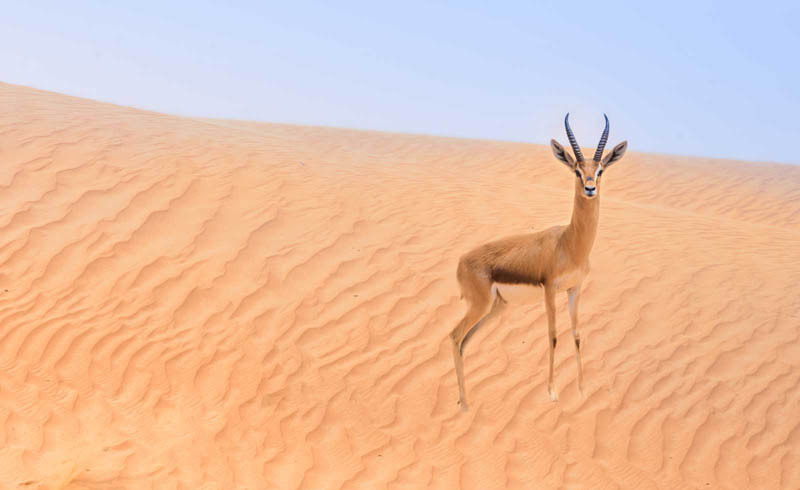 We were driving through the Dubai Desert Conservation Reserve, on the lookout for Arabian oryx, proud-looking, long-horned antelope that seemed as regal as they did skittish. 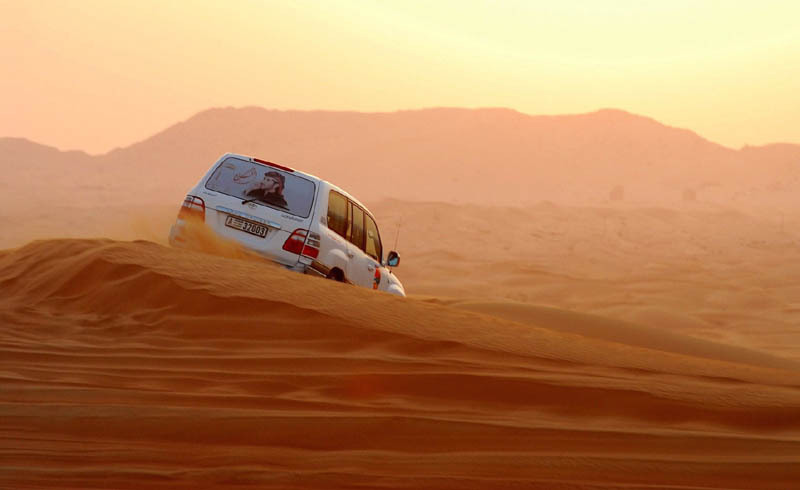 Just 60 miles or so from Downtown Dubai, an animal-spotting safari, which I took earlier this year with Platinum Heritage, was a unique and environmentally sympathetic way to get away from the towering skyscrapers and elaborate malls of the city and feel inspired by the rolling desert landscape. We had woken before dawn and made our way out of the city, watching the high-rises fade away before coming upon the first herd of oryx, more than a dozen of them standing together in the the wake of the slowly rising sun. 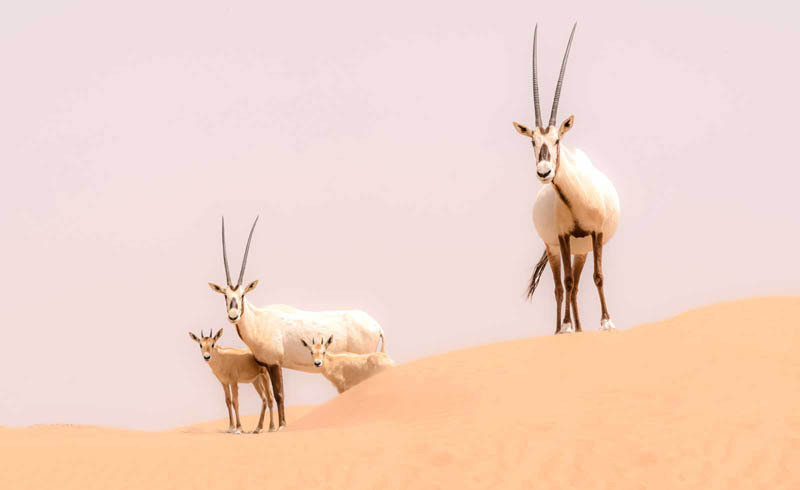 These oryx were only a few of hundreds that freely roamed the reserve, along with hundreds more gazelles and scores of other smaller animals and natural shrubbery. We stuck to a set path, careful to keep our eyes peeled for anything scurrying past, and ensuring we left the arid landscape as untouched as possible. The path was there for a reason, and was what really sets a conservation drive apart from more adventurous — but also potentially environmentally harmful — activities. 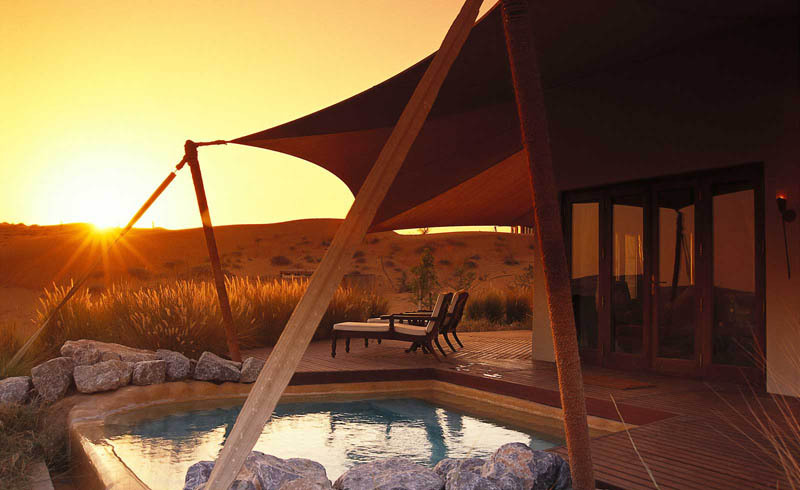 "These paths have been mapped out in conjunction with the team at the conservation reserve to ensure that we limit the impact to the environment," Simon Mead, head of operations for Arabian Adventures, which is part of The Emirates Group, told Travel + Leisure. 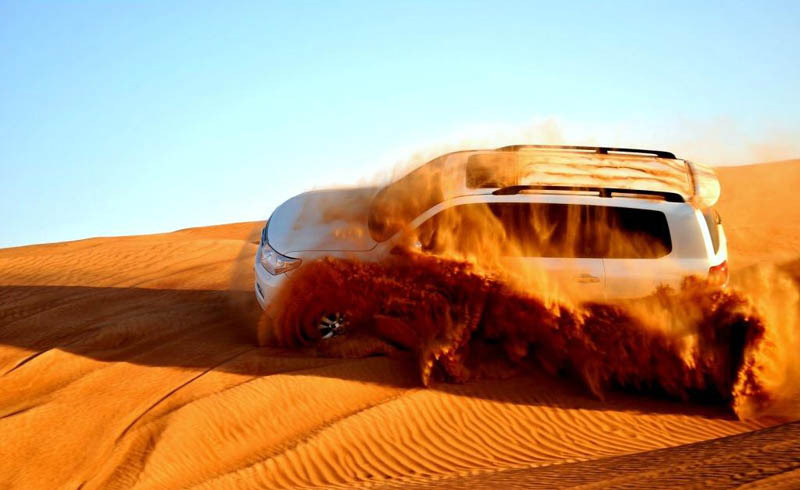 "A speed limit is enforced and we differentiate between ‘dune-bashing’ and a ‘dune-drive.'" As the morning wore on, we traveled up and over the soft hills of the dunes that seemed to go on forever before finally coming to a stop on a flat stretch of golden sand. I hopped from the car and looked out at the boundless reserve, established to protect the area's natural desert habitats as sprawling metropolises have sprouted up all around it. "These safaris are an important part of educational tourism and support the [reserve] when carried out in designated low-impact areas," Mead said, adding that a portion of the price of the tours goes toward the reserve's conservation efforts. Our time in the reserve coming to an end, we sipped orange juice and gazed out at the unspoilt view from the outdoor terrace of the Al Maha resort. A small gazelle walked up to the platform to check us out, almost as if it sensed I needed one last great photo before we went. And then before I knew it, we were driving back to the city where I would hop on the Dubai Metro and soar past the iconic Burj Khalifa, back among the glittering skyscrapers. But, if only for a few hours, I had walked in the desert and it felt like I had stepped back in time.